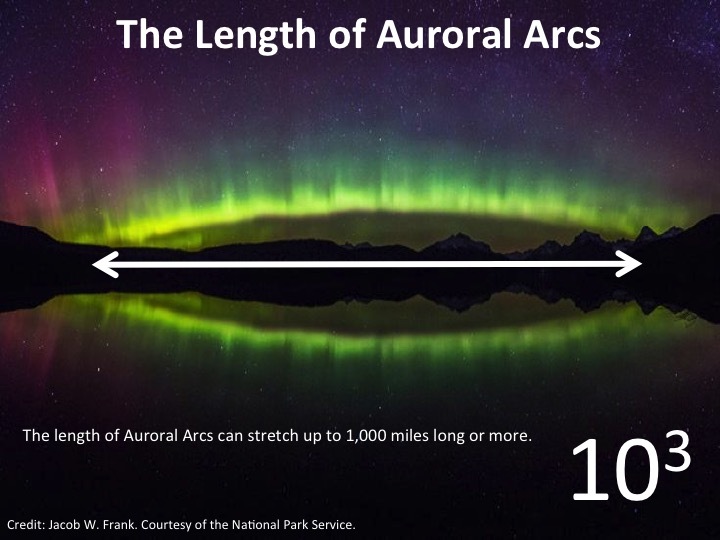 Think you already know a lot about Aurora and orders of magnitude? Or, want to see where you land before you learn more? Test your knowledge, here! Have you looked into the sky at stars or the moon and wondered how far away they were? Outer space is large, beyond belief. Outer space is so enormous, it’s sometimes hard to comprehend the size and distance of objects we see in space compared to things that are more familiar to us on Earth. But, it’s important to understand things like the distance between us, here on Earth, and things in space like aurora or other planets and stars. Big things happen in space that affect us. 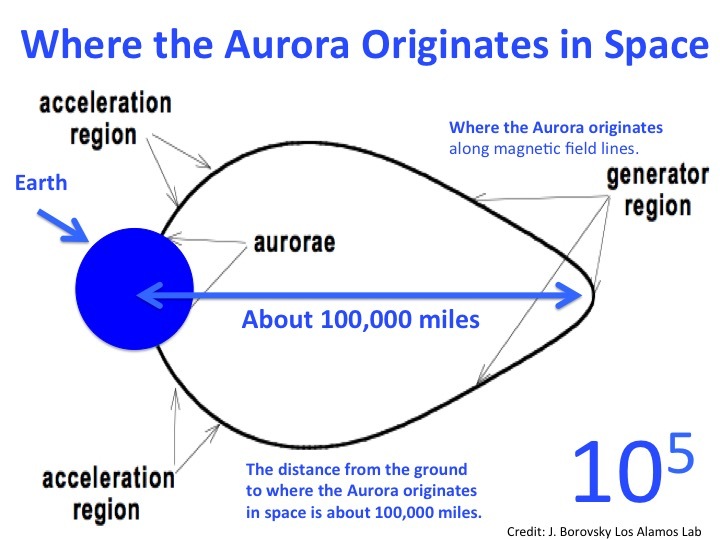 Not too far away is an entity so large in both size and power that if its surface erupts, we are affected. That entity is our home star, the Sun. Some explosions on the surface of the sun are larger than our home planet, sometimes much, much larger. When the surface of the sun is particularly active, sometimes, we can see evidence of it here on Earth. People have been reporting observations of solar activity for over 2,000 years with some of those observations including reports of sunspots. A sunspot is an area on the surface of the sun that is cooler than the area around it, seen as a dark spot to us. They are small compared to the size of the Sun – like tiny dots, but are really pretty massive. 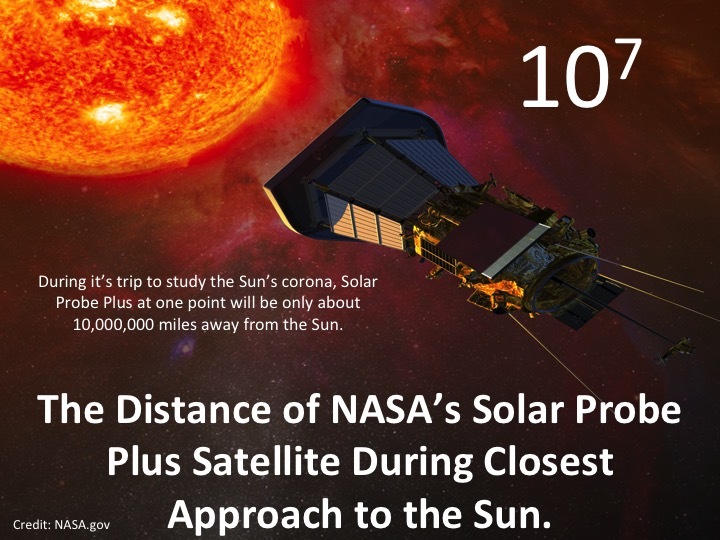 Luckily, we have a tool that uses both math and science to help us better understand the size of things far away like sunspots. Something called orders of magnitude. The term ‘magnitude’ often makes people think of something with great size or extent. And this is true in this case, too – orders of magnitude involve some really huge numbers! But, what exactly are orders of magnitude? Orders of magnitude are written in powers of 10, which is the an important thing to know about them. This means that if an order of magnitude is expressed as 1 x104 that would correspond to the number 10,000. Expressing a number using this formula helps us make approximate comparisons . To determine the order of magnitude for a number, we need to first figure out how many powers of 10 are in that number. Did you have a chance to flip through the images in the slideshow at the top of the page? 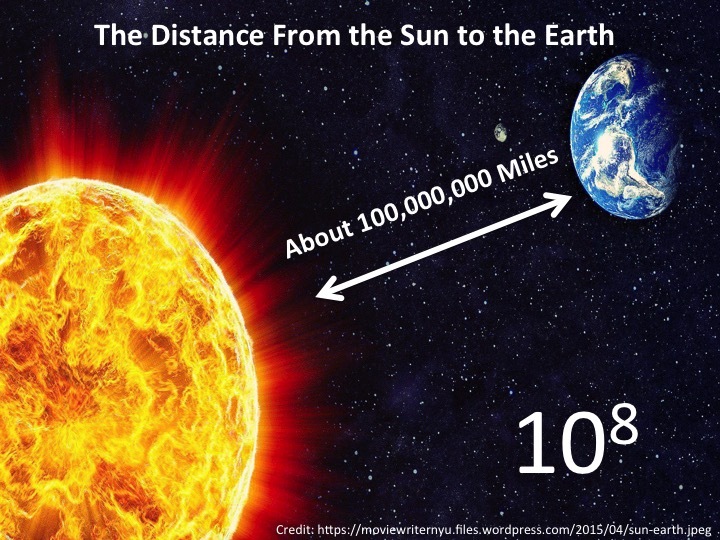 If you did, you might remember that the distance from the Sun to the Earth is about 100,000,000 miles. That’s a distance I wouldn’t want to walk, and probably couldn’t! 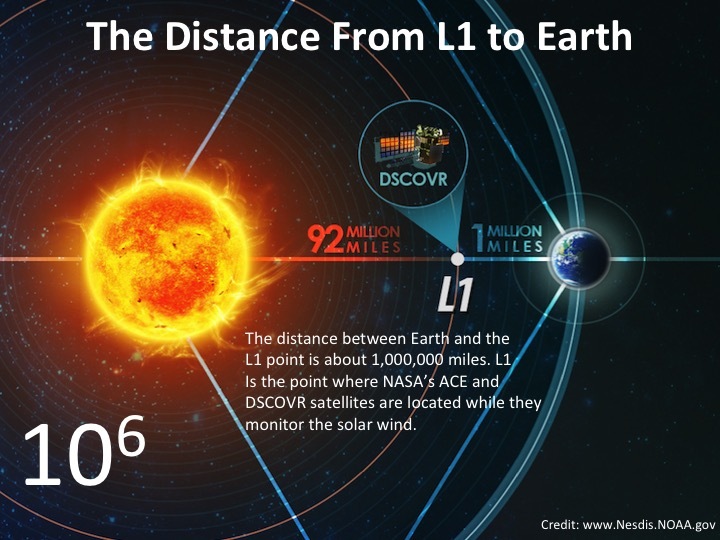 Looking at the number 1,000,000, we can say that the distance between the Sun and the Earth is 8 orders of magnitude. 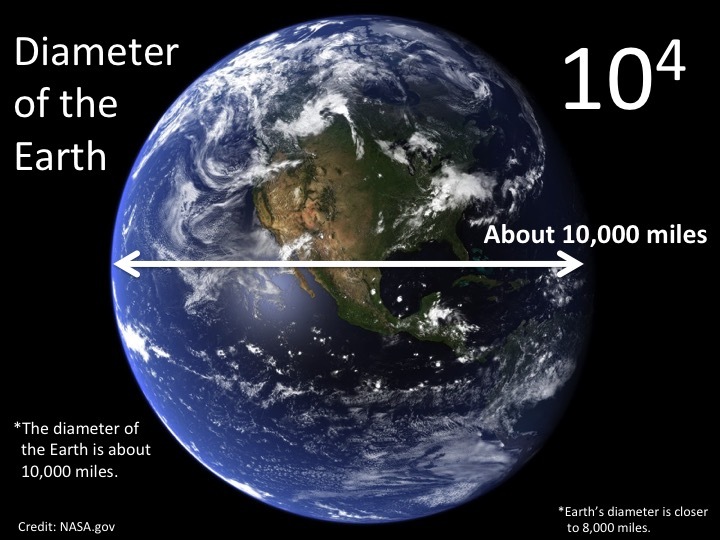 Breaking this down, let’s ask, how many powers of 10 are in 100,000,000 miles? If you answered 8, you were right. Powers of ten are how many times you can multiply 10 into a number. Some people count powers of 10 by counting the number of zeros in the number – that way works, too. Each zero represents one order of magnitude. Today, many amateur astronomers can observe sunspots from their backyards with a special filtered telescope. Note, it is dangerous to look directly at the Sun or attempt to do this without supervision and guidance. When viewing sunspots through their telescope, the sunspots appear to be small black dots no bigger than a mark left by a ballpoint pen on a piece of paper. While they may look small through a telescope, on average, sunspots are around 30,000 miles in diameter. This means the average sunspot is on the same order of magnitude (104) as the Earth’s diameter. You can see what we mean from the image in the slideshow above. 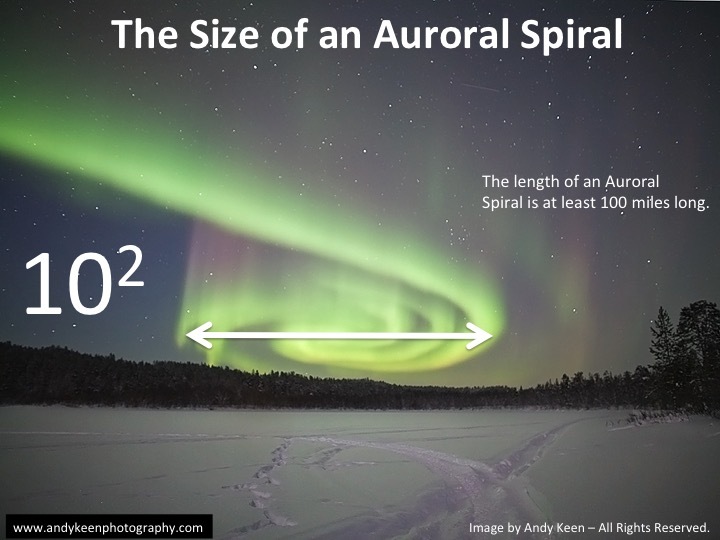 So now you can start to get a handle on how huge some of the drivers of space weather are. 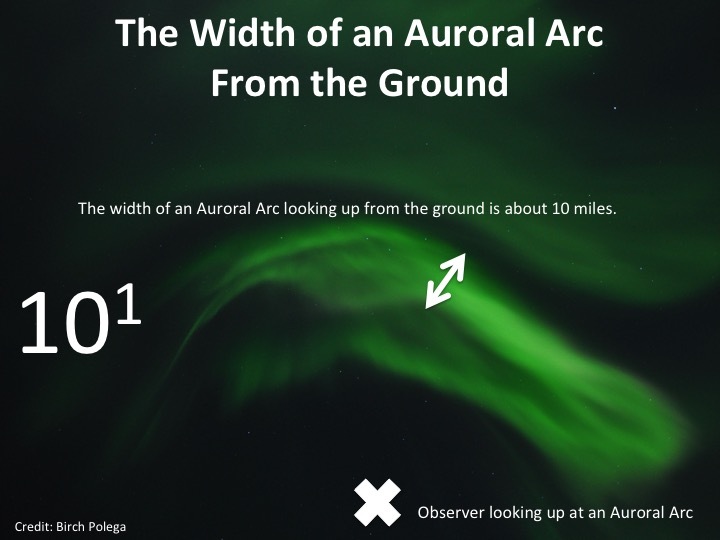 Take the quiz to test your knowledge on orders of magnitude and the sizes of what drives aurora!